Home Home Media Guide: How to install Kodi Spotify Addon on your media center? Install Spotify on your Kodi media center and get your music playing! After you do this, set a name for the source. Emby Beta Addons will do. 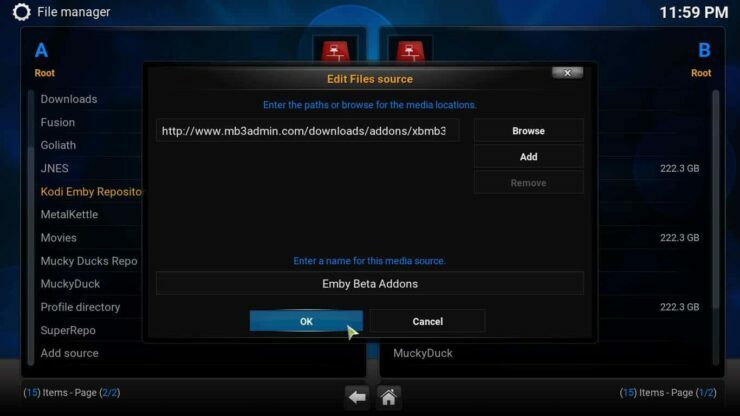 Click OK.
Add the Emby Beta addons source to Kodi in order to find the Spotify addon. This will have added the source to your system. Now, from the main menu again, head to System -> Settings -> Add-ons -> Install from zip file. You will see a list with all the sources you have added and possible locations to install from. Scroll until you find the Emby Beta Addons source you just added, and then click it. Select the .zip within the Emby Beta repository, typically named repository.beta.emby.kodi-x.x.zip (with the name including the version number). Wait a few seconds and you should get a notification confirming it was installed. You will see a confirmation box like this one on the bottom right corner once the repo is installed. After you're done installing the repository, you can finally get the plugin. In order to install Spotify on Kodi, all you need to do is go to System -> Settings -> Add-ons -> Install from repository from the main menu. On the repository list, select Kodi Emby Beta Addons and then click on Music Addons. You will see the option to install Spotify, so click it, and then press the Install button on the dialog that appears. Click the install button and you will be a few clicks away from your music! Wait a few seconds and you should get a notification on the bottom right corner, telling you that the Spotify Addon has been successfully added to your media center. 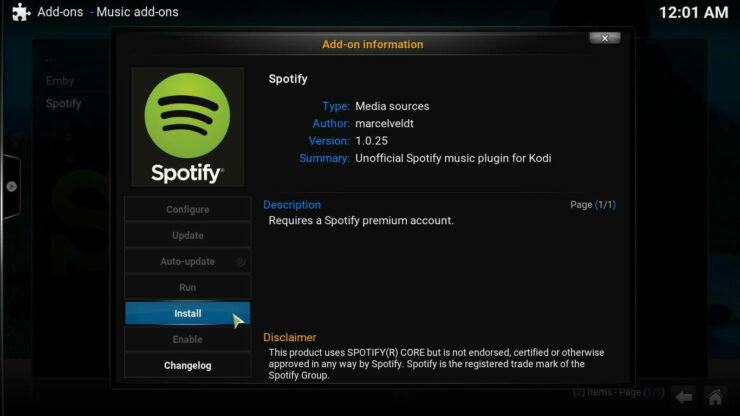 What to do after you install Kodi Spotify Plugin? That's it! 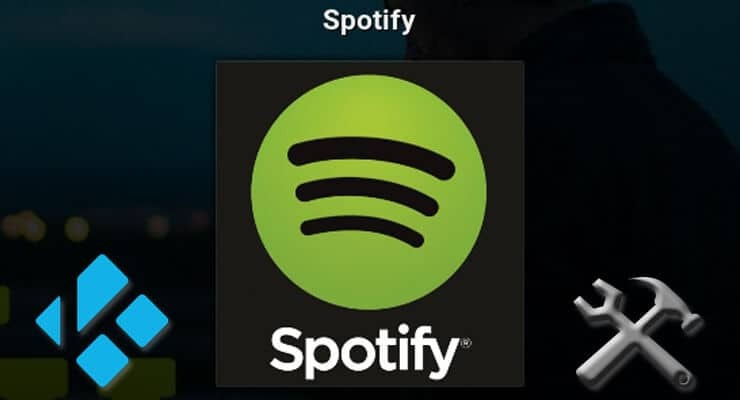 You have now installed the Spotify addon on your media center. You will still need to configure it properly for it to work, but I will cover this in the next tutorial. Do you want more music options? Build a Raspberry Pi Music Player in order to enjoy tracks from your favorite artists, or get to watch movies on Kodi instead, with one of these 10 best Kodi movies addons. The possibilities are endless with our guides and tutorials so stay tuned!